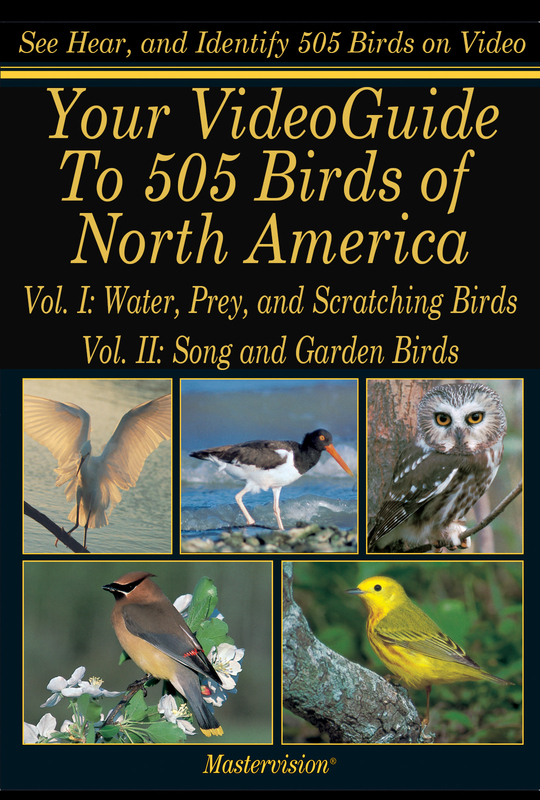 You can now rent or buy Your VideoGuide to 505 Birds of North America (formerly Audubon’s VideoGuide to 505 Birds of North America–same great content, different name). Watch right now and save! 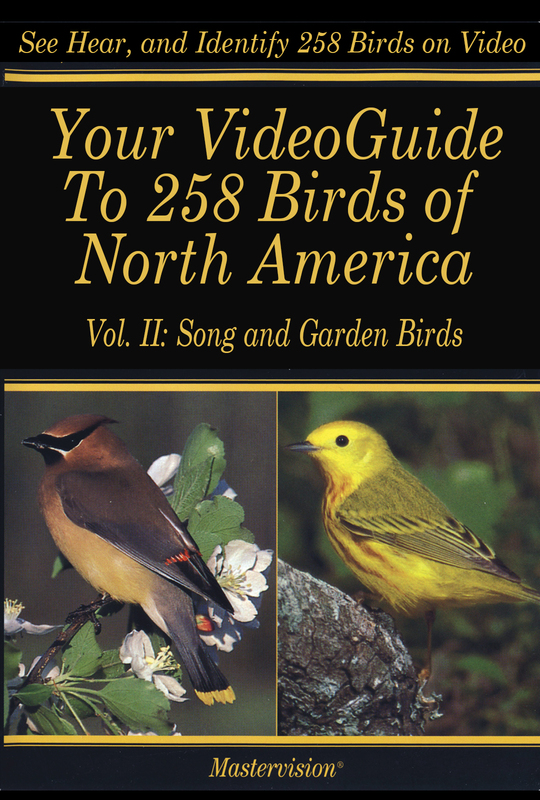 Your VideoGuide to 505 Birds of North America is the ideal application of streaming and downloadable technology to a audio-visual reference source. 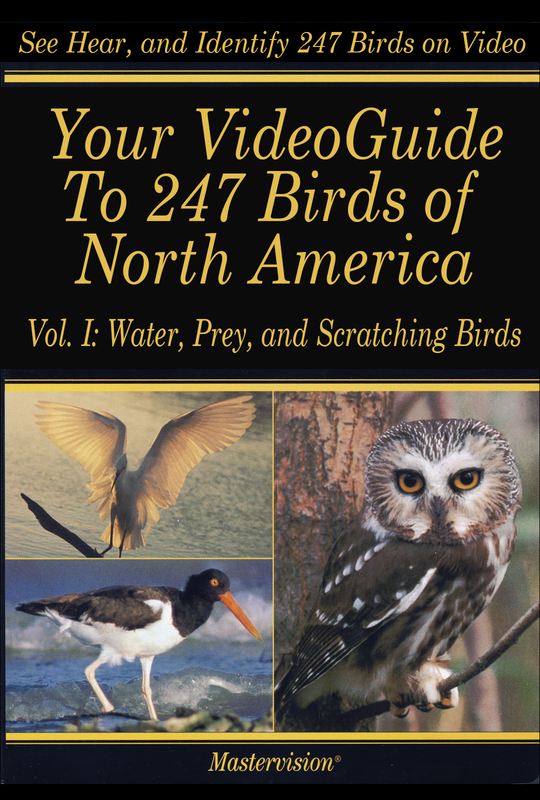 Beautiful moving footage and stills, bird calls and sounds, annotated visuals, authoritative narration and range maps help users quickly and precisely locate any of 247 bird species in Vol. 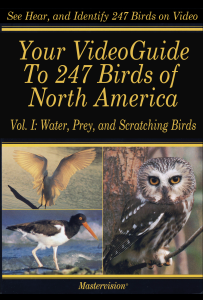 I (with 258 additional species in Vol. II, available separately, for download or streaming rental) at the touch of a button. This program, formerly sold as Audubon VideoGuide to 505 Birds of North America, is identical to that DVD version. Only the name has changed. 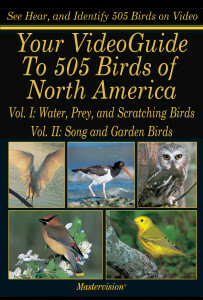 Your VideoGuide to 505 Birds of North America is currently not available in DVD format. By using your mouse or mobile controls you can repeat a segment, a shot or any part of a bird’s description as often as you like, or even view footage in slow motion. Loaded onto your mobile, bring the video into the field for immediate access when you’re trying to identify birds. Contents of Vol. I: 247 birds including Loons; Grebes; Pelicans and their allies; Swans, Ducks and Geese including Dabbling Ducks, Bay Ducks, Sea Ducks, Mergansers, Whistling-Ducks and others; Vultures, Hawks and Falcons covering Eagles, Kites, Accipiters, Buteos, Caracaras and others; Chicken-like (or Scratching) Birds which include Turkey, Quail, Grouse, Prairie-Chickens, Pheasant, Ptarmigan and others; Wading birds, covering Spoonbill, Woodstork, Egrets, Herons, Bitterns, Ibises, Limpkin, and Cranes; Rails; Shorebirds, including Plovers, Sandpipers, Curlews, Phalaropes, Turnstones, Oystercatchers, Avocet, and many others; Gulls and Jaegers; Terns; Alcids, which include puffins, auks, Murres and Guillemots; Owls; and Kingfishers. Contents of Vol. II: 258 birds including Pigeons and Doves; Cuckoos and Anis; Nightjars; Hummingbirds and Swifts; Elegant Trogon; Woodpeckers; Flycatchers; Horned Lark; Swallows; Crows, Jays and Magpies; Chickadees and Titmice; Verdin; Bushtit; Nuthatches; Brown Creeper; Wrens; American Dipper; Kinglets and Gnatcatchers; Bluebirds, Robins and other Thrushes; Wrentit; Mimic Thrushes; Water Pipit; Waxwings; Shrikes; Phainopepla; Vireos; Warblers; Blackbirds and Orioles; Tanagers; and Grosbeaks, Buntings, Towhees, Sparrows, Juncos, Longspurs, and Finches.